From a distance, I have admired Amish and Mennonite communities. Our Friday project tradition is loosely borrowed from the iconic Amish barn raising. I have admired them when they occasionally hit the news with a story where the community has pulled together to publicly forgive the perpetrator of some horrific crime against them. In Paul Born’s article, Deepening Community: The Joy of Togetherness, I was interested to read the perspective of one Mennonite leader on the importance of community, what it is, how it benefits us, and how it is built. I was drawn into the article by his description of how difficult community can be and why a part of us finds community inconvenient, invasive and unwelcome. Life is often about finding a balance and that balance point is dynamic and different for everyone. That’s why, in building the Village, I have tried to attract people who have a desire for close community. We cultivate that desire through our traditions of regular social and shared work events, but avoid any and all coercion to participate. This establishes a baseline culture of voluntary community and cooperation, but allows each person the freedom to seek their own balance without social pressure. We govern ourselves by broad principles, but few rules. While consensus is desireable, there is room for differences because of the importance we place on private ownership and control of private property. Recently the topic of “like-mindedness” was raised again in our community bulletin board. Some of us acknowledged our discomfort with the term. But an underlying set of shared values is fundamental to a cohesive community. In many “intentional communities” those values are provided by religious faith in a codified set of doctrines provided by a charismatic leader. My observation is that when broad principles are distilled into ever finer sets of rules by which members are expected to live, the overwhelming social tendency is to judge one another harshly. Rules meant to perfect us, chafe and bind. Soon, the burden is more than we are willing to bear. The ties that bind, bind us down into socially unbearable servitude. One of the central messages of the New Testament is about Jesus’ struggle against the Pharisees and Saducees who had reduced the law of Moses to a state of hypocrisy and judgementalism based on rules for virtually every action, every choice. We see the same impulses in today’s freedom movement, rejecting “nanny state” government’s exponentially growing body of law that attempts to regulate everything. 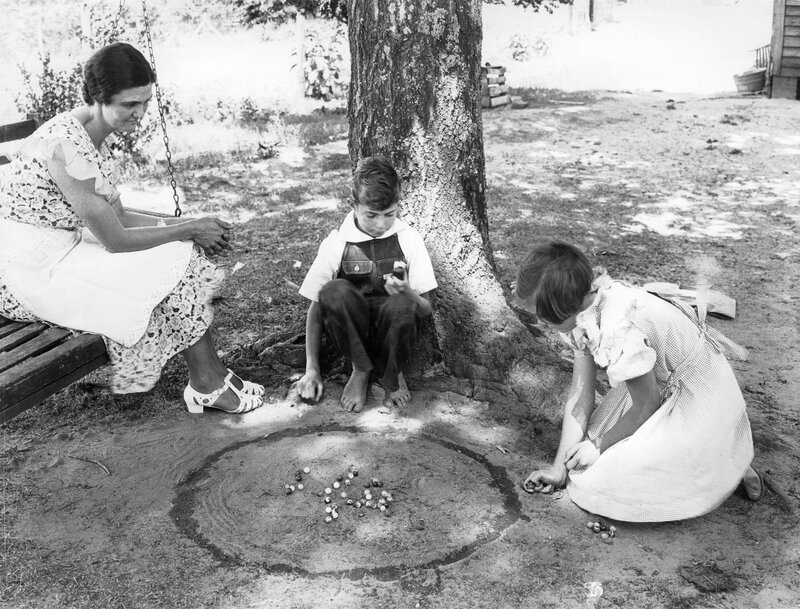 Over time, a culture of the Village on Sewanee Creek has emerged with identifiable characteristics. I will attempt to describe what I see. People who “fit” in the Village, have a strong sense of self but are unselfish. They desire to give unselfishly, but expect others to reciprocate in kind. Because they want to be generous, they are long-suffering and forgiving. But over the long term, if generosity is not reciprocated, they do not feel an obligation to give disproportionately. Takers are not encouraged. They gradually find themselves isolated by their choices. All must give in proportion to what they receive. This is a principle of human nature, perhaps a part of natural law. Villagers have an independent streak and enjoy their private space. They enjoy the company of others, but they are not offended or feel excluded if not invited to participate in a private dinner or a project initiated by other members of the community. Villagers are interested in being creative. They like to make and build things. Often, we start out lacking the skills or esthetic sense necessary to build masterpieces, but we want to become better. A sense of humility seems to be a necessary characteristic. Working in community affords each of us an opportunity to learn from others and improve our practical skills. In our Friday projects, I have observed a great deal of patience for those who have little in the way of practical skills, but humbly seek to learn and improve. Patience stretches thin for people who are self-centered, arrogant, pushy or argumentative. It is most obvious when one who lacks skills arrogantly refuses to accept advice from those who have mastered those skills. It is a path that can lead to isolation even within communities with the best intentions. But, our approach provides flexibility and openness to natural resolution. If the owner/leader of a project finds it difficult to work with a particular volunteer, (s)he is ok to invite that individual to spend their time more productively on other, more satisfying work. If that happens with a lot of people, that leader may realize that they need to work on their leadership skills. It is the same freedom that is exercised by individuals to not participate in any given project. But all benefit from mutual service. All desire to be part of our community traditions. It’s the reason we are here. Because each choice brings it’s natural consequences, people are motivated to follow scriptural counsel to repent, change, improve. To the extent that the majority of people in the community focus on humbly recognizing and improving their own weaknesses based on the true principles taught by Jesus, unwelcome behaviors are self-correcting. Individuals improve personal competence and self-reliance. The community grows in strength and cohesiveness. I began writing this post as a short introduction to Born’s article for our Village Bulletin Board, but it grew into something more. An online discussion, internal to “Friends of Sewanee Creek” followed. Please feel free to share your own perspectives on this blog. If you are interested in access to our more private community discussions or think you might fit in our community, send me a request Request FOSC Membership. Our process of inclusion starts with a friendly phone chat, so be sure to include your phone number. “Voluntary” is a key word in our community. Expectations, demands or compulsory involvement are kept low in favor of personal choice and personal circumstances. We trust that the primary reason for joining our community is the desire for community. Largely due to lack of compulsion or pressure, the community has flourished with high levels of regular, voluntary, joyful involvement. Friday Project. Rotates weekly by homestead, as calendared on our Private Village website. Each week, a designated home owner plans and gathers materials. Everybody shows up to work about 10 am, sometimes earlier in summer. A simple meal is often provided by the home owner. Project work is usually planned to last two hours, but frequently ends up an all day project as members generously linger to volunteer time. The payback is simple and obvious. We enjoy each other’s company and we learn project, leadership, organization and social skills. We learn to trust each other in all the important dimensions of trust: reliability, competence, integrity, respect, caring. And we know that as each gives, the gift is returned in a regular rotation. It’s a virtuous spiral. Hundreds of discrete projects have been completed. A short list includes such things as help building houses (primary and guest), a chicken coop, a large hoop greenhouse, raised bed gardens, maintenance on the community amphitheater or trails, harvesting cabbage and making sauerkraut, canning green beans or venison, installing a rainwater catchment system, a goat enclosure, house painting, framing and roofing a carport, and on and on. Monday Evening FHE: Games, discussion, lesson, problem solving, planning, followed by light refreshments. Bi-monthly formal potluck dinner. Host rotates between families. As the community has continued to grow in numbers, greater specialization has emerged. Members are assigned and voluntarily accept callings that include: director/coordinator of music, drama, facilities, community scheduling, security, beekeeping, Open-Source Ecology (distributed manufacturing), games, etc. We maintain shared, online virtual libraries of books and movies and a private website for sharing of ideas and general communication. These don’t require a leader or curator, just the initiative of someone to create the format for a shared online database and the generous trust of friends volunteering to share their resources in an open, organized fashion. We have no need to build a physical library, only information about what resources are voluntarily available and stored by each member in their homes. It has been said that the millennial generation cares little about ownership; it’s all about access. Older generations, on the other hand, care about personal ownership and care of things. The bridge is TRUST. We do not own many things in common, but we actively cultivate trust. As trust develops, open sharing is a natural consequence. Where there is no need to replicate assets, personal costs decline; abundance increases. This isn’t a new idea. It’s the way communities functioned before they became fractured. As you can see from our Friday Project tradition, this concept is applied to the sharing of skills and services as well as things like books or tools. PhD’s in plant genetics, Psychology, Counseling & Philosophy. Masters in Engineering, Bio-Chemistry, Business, Computer Engineering. BA’s / other certifications in mathematics, elementary and secondary teaching, textiles, registered nursing, and more. Each year community strength grows. 2014 has been a watershed year, as our active population and skills sets virtually doubled. Over the years, more lots have been sold with the promise that, as homes are built, transitions made, new trusting relationships created, the Village will only grow in strength and stability. It’s a pretty nice place to live for a volunteer. This champion of truth is dead of self-inflicted gunshot wounds. What do we learn from this tragedy? That staring down the rabbit hole too long results in loss of hope. If there is anything the enemy wants, it is for those who fight against evil to lose hope, whether you define the enemy as Satan, the illuminati, globalists, the evil, corrupt nature of fallen mankind, big government, big Corporations, or whatever. As one who admittedly stared down that rabbit hole too long and has determinedly averted my gaze, I call upon myself, our community and the world at large to look for the good in life. I am thankful for wonderful neighbors in the Village on Sewanee Creek who DO look to the positive in life, who overlook each other’s flaws and continue on in faith and hope and whose lives are evidence of hope and generosity by the way they give of themselves for each other. God lives. Jesus Christ is His perfect Son. In the end, Christ wins the war against evil. I’ve read the book. There is a happy ending for those who live for it. In places of Christian worship, the phrase, “Christ is the reason for the season” is an oft heard cliche. Let us consider the reason this is true. It is simply that God’s Gift that is Christ, is Love, expressed through giving. Giving is the central theme of Christmas. I am drawn to the New Testament as it chronicles HOW he lived and loved during His mortal life. To model my life on His, I must look for understanding in what He thought, taught and did in the challenging circumstances of His mortal life on earth. For the Christian world, Christmas is a celebration of Christ’s birth. The single most important symbol that is embodied in our Christmas traditions is the practice of gift giving. Christ is literally a gift from God to all of His children. “For God so loved the world that He GAVE His only begotten son.” Gifts and giving are Central to an expression of Love. Giving is the primary focus, whether celebrated as a secular or spiritual holiday. But, If one desires to celebrate Christmas as a Christian, it follows that we must seek to understand what Christ taught about giving. and even more importantly, how Christ gave, as an expression of pure love. And we must do likewise. For, giving is the essence of love. To those who have material wealth – He gave only when compelled or to return that which was already theirs. He said, “Give unto Caesar that which is Caesar’s“. And when compelled to pay taxes, he miraculously extracted a Coin from a fish’s mouth. But, When compelled, he counseled to go the extra mile . Give your cloak, carry the burden, give service willingly, thereby taking control of the transaction and transforming it into something that IS a gift, not a theft. It becomes a spiritual gift of forgiveness in the transformation. Judas kept the purse, one might assume partly for the purpose of giving to the poor, although there are no actual examples or evidence of giving money to the poor other than Judas’ complaint over expensive ointments offered to anoint Christ’s body for burial, that MIGHT have been sold and given to the poor. Christ responded unempathetically and correctly, that the poor will always be with you. He used the occasion to emphasize the core message of his life: the important gifts are not material. The irony of Judas, the betrayer, advocating for the poor can only be lost on those most deeply mired in worldly materialism. Another parable, the Widow’s mite, demonstrated Christ’s position on giving to the Church. The principle He taught is that the value of a gift is not in the amount, but in the content of the heart, the sacrifice of self. It is purely spiritual, not fiscal. This principle seems to be lost on many in the church today who throw away principle in the pursuit of wealth in order to be able to donate large sums in the “building of the Kingdom”. Christ’s message could not have been more clear, yet more routinely ignored. His kingdom is not of this world. This brings us to the next question, To whom did he give? At first glance, one might conclude that Christ was so generous, so loving, that he gave indiscriminately to all. And, from a certain perspective, one would be correct. But, this ignores another of His teachings. He said, “what profits it a man if he receive not the gift?” So, if you consider how He ignored and dismissed the Pharisees, Sadducees and all who were incapable of appreciating His spiritual gifts, you must conclude that, in the end, Christ gave only to the worthy. What qualified a man for His gifts? What made him worthy? There are probably more ways, but I have narrowed to two main qualifications – Faith and humble Seeking. He gave to those who already had. Consider the parable of the talents, where more was given to the man who multiplied the investment, but Christ’s Kingdom is not of this world. So while this parable speaks of money, its currency is faith, not coin. By virtue of FAITH, men are enabled, ready and willing to receive and multiply His gifts of the spirit. To those who received and multiplied His gifts, he counseled, “Cast not your pearls before swine.” He wasted no effort giving to those who were incapable or unwilling to receive His gifts. He did not suffer fools. A case can be made that Christ gave to his closest friends, the ones He loved most. * Lazarus, he raised from the dead, but he did it as a trial and demonstration of faith to those he loved most. * He changed Water to wine at a wedding feast as a favor, but here too, there was an embedded message as he signaled the beginning of his formal ministry. So, did He give to anyone or everyone indiscriminately? Of course! That was the nature of His mission, to save ALL mankind. But consider how he did that. He did it by how he lived and died, not by building up wealth “where moth and rust corrupt and thieves break through and steal ” His gifts were gifts of Himself that lift us all. In His perfection, as far as I can tell, He never gave a substitute for a real gift, as we do when we give material trinkets, hoping to represent the real thing. Next, let us consider When, or under what circumstances, He gave. * He Fed the 5,000 – but only as expedient to temporarily satisfy a physical need while he addressed spiritual needs through his teaching. Then, he dismissed those whom he correctly perceived were only interested in Him as a source of food welfare. * Again, he Changed water to wine, but only to deliver a symbolic message. Finally we ask, Why did he give? What was his Motive? I believe this is the most important question; The answer to this question goes to the heart. Christ’s perfection was anchored in the purity of motives. Every outward action was a manifestation of motive. Why? Was it To prove his own goodness? to himself or to others? No, in fact he counseled that when we give to be seen of men, we have our reward and that reward is a hollow one. To give thus, is to forfeit the spiritual reward. It may be better not to give at all than to give to be seen of men. The best giving is done with no expectation of a reward. * Giving in hope of receiving? Either in the form of a reciprocal gift or simply recognition of our own generosity. * Or is the why of our Giving so as not to be embarrassed by an imbalance between the material gift we give versus one we receive? * Is our why, To out-give someone else, thereby proving our own relative generosity or to show off our own wealth or ability to give? Christ would not have been guilty of any of these impure motives. His gifts, being spiritual in nature, could not in any way be quantified in value or compared to other’s gifts and there is never a record of him giving in the context of an exchange. Perhaps it was never an issue because there was no Christmas custom, with a public display of gift exchanging. I wonder what Christ would have thought of our custom of exchanging gifts in His name, . Do you ever feel burdened by Christmas, with it’s oppressive demands that we exchange expensive gifts of questionable real, lasting value? For many, the holidays are a season of stress and depression. Christ taught that His burden is light. If Christmas is a burden, consider that you may be trying to carry the wrong one. Why did Christ Give? Was it To prove He cared? Yes, his life’s mission was to redeem us from our sins. To accomplish that, he had to draw us to him through love by a supreme act of sacrificial giving that demonstrated his love for us. He had to give of Himself in a way that proved to the world, His complete lack of selfishness. So, in His giving, there was an element of proving, but it was not a direct proof of His goodness, only a proof of His love, as He continuously asserted, “why callest thou me good? Only One is good.” Aye, But here’s the rub, in order to PROVE he cared and to draw us to him in love, He had to genuinely love and give. He had to love with ALL his heart, holding nothing back. It had to be real. There could be no grain of self-interest. And so, while he did prove His love through giving, the emphasis was never on proving, only on loving. Why? Was it to improve others wealth or physical well-being? On occasion that was a byproduct, but when he gave food or healed the body, there was ALWAYS an underlying spiritual purpose. * To enable people to be self-sufficient in providing for themselves as in the healing of the sick. The Bible records not a single example of Christ giving such a gift as might be found under a modern Christmas tree. Why did He give? I return to the nature of His spiritual gifts. His mission, His purpose, His motive, His why, Was to Forgive, to Heal the body and spirit, and to Encourage, to lift the discouraged, to strengthen the weak and to bless mankind with spiritual growth. The scriptures reveal this consistently, repeatedly. We, of the Christian faith, who desire to love and to give as Christ loved and gave would do well, as we celebrate His birth and His life, to examine and emulate His example. Am I suggesting that our materially focused Christmas giving customs, that we all enjoy, should be abolished? I believe David Bednar’s well-quoted talk, “good, better, best” is a valuable prism through which we should each decide how to celebrate Christmas. * The practice of giving material gifts, though only an excuse for the real thing, is Good. * Material gifts that require a special sacrifice of self in the giving and consider how well the receiver can accept the gift are Better. * purely spiritual gifts of forgiving, encouraging and healing are Best. None of us have achieved Christ’s perfection of Love or it’s perfect manifestation in how, what, when, to whom or why we give. But let us seek to learn and grow line upon line, to lift others and, in the process, lift ourselves from good to better to best. These teachings of Christ, I share, at no cost to me, as a Christmas gift, praying that they may be a source of lifting, encouraging and healing and that you will receive His gift with a humble, seeking, faithful and thankful heart, and that, having received His gift of love, you will follow His perfect example by re-gifting it to Him and to all those you love. It is to safeguard our ability to choose and do that which is good. To defend freedom in the name of freedom only – the right to do whatever we want because we want to – is to be morally bankrupt, destructive to the world God created for us and at odds with “natural law”. If we commit unspeakable acts of violence and evil in the name of freedom, we have no moral basis for the defense of “freedom”. We fight not for freedom, but for personal greed and dominance. The dirty little secret that The American people have bought into, the elephant in the room that we choose to ignore, is that the empire we support through endless wars of conquest disproportionately benefits us vs the rest of the world. As the empire crumbles and the benefits that trickle down from the elite to the masses wane, the masses will wake up, not out of righteous indignation, but out of a displaced sense of loss. The gravy train has been good. We have collectively turned a blind eye to our wars of aggression waged in the name of freedom, or as G.W. Bush euphemistically said it, “our way of life”. Is our way of life just an excuse for conquest and plunder? These are my thoughts as I considered the following interview from The Real News. I believe that the mission and message of our little community, the Village on Sewanee Creek, should be about freedom in its fullest and best sense – the freedom to do positive good. Not as “do-gooders”out to reform everyone else, but people quietly reforming our own lives in harmony with that which is good. The American paradigm we live within has focused our thinking to be against or at war with almost everything. There are wars against poverty, drugs, inequality, injustice, terrorism, illegal immigration, and on and on. A war mentality breeds anger, dissension and more war. What is the antidote for a world that is continuously at war at every level? Christ taught us to repent. Repent of your acceptance of all forms of war. Champion freedom for the sole purpose of thinking and doing positive good. Repent of your natural inclination to justify evil in the name of false, self-serving good. When we learn to focus all of our thoughts and actions on doing that which is good and productive and always rejecting that which is harmful or destructive, our lives will be full of light, joy and peace. I write this with no personal sense of moral satisfaction, for I am as guilty as anyone of self-serving thoughts and behaviors that justify evil in the name of false good. When we stop focusing on the greed of others (Wall Street, corporations, politicians, etc.) we may begin to recognize our own complicity in a system, built from the ground up on self-interest, a nicer word for greed. Christ identified the problem in His mote/beam parable. I desire to live among people who don’t see themselves as righteous or good, but humbly seek to become so through striving for that which is good – people who are continuously in an active process of repentance – or reaching upward for the light. I hope that being with such people, I will be inspired and strengthened to repent myself. The world will become a better place not through conquest of others but by conquest of oneself. Regardless of our circumstances or the political system we live within, we are all, ALWAYS, free to do that. I think the first, most essential thing one must do to accomplish that is to build one’s own house as Thoreau did. He built from leftover scraps of an old shanty. We have many other choices. The mere fact that when people come to the Village, they can’t buy a finished home means that every one of us shares that journey. The journey enriches each of us individually and collectively, as a community. One’s home is the ultimate expression of self, one’s capacity to dream and do. Even if you hire a contractor and never lift a hammer, you will learn, mostly about yourself. So many choices, it can be overwhelming. In the process, you are forced to come to terms with your personal values. There is no faking it. How big should my house be? How much of my life, in the form of money that I have exchanged my time and effort for, should go into this house? What portion should I allocate for other things that are important to me and my goals? In my house, do I want to emphasize efficiency and low maintenance or esthetic beauty? What do those things mean to me? Can I have both? Do I want my home to make a statement about me or is it enough that it satisfies just me? If I am taking this journey with a spouse and children, how will we use this experience to bring us closer as we discover and satisfy what is uniquely us? What can or should I do without to have the things I really want? My home will be a refuge, but from what? From the noise of the city, or from the discomforts of nature? The folks in this video made some highly unusual choices in an environment most people would consider extreme. Yet, their home is a creative expression of who they are and how they choose to live. And it is beautiful. As you watch this video, notice the many trade-offs they made. I like to think “sacrifice” is what you give up to get something better. A deliberate life is one of conscious choice. If one knows oneself and chooses well, a personal paradise is the reward. That personal paradise is within reach of us all, but we must choose. For those who love nature and the joy of sharing with others, the Village on Sewanee Creek has all the necessary elements to build your dream with a little help from some friends. How many times have you heard people who lived through the great depression say that? I have heard that phrase countless times from my parents and many of “the greatest generation”. What a blessed state of ignorance that phrase describes. It is a state of profound and pervasive lack. I’m sure both lists could be extended, but you get the point. Yesterday, around the Village Thanksgiving table, I don’t recall a single reference to Black Friday or even shopping other than for basic needs or how to do it efficiently. Maybe I just missed it. I think there is an inverse relationship between real wealth and the preoccupation with buying more stuff. The person who perceives no need is not needy. Regardless of the number of zeros in one’s bank balance, a person who can hardly wait to go shopping for the latest ego-boosting bling, gadget or fad is the one in deep need, and therefore, poor. That is not to infer that Villagers are financially poor. We’re not, although I’m sure some have more than others. The point is, nobody seems to care too much about who has what. A community that doesn’t continuously focus on or remind us of things we want, either vocally or by the things they flaunt, gives us spiritual space to appreciate things that matter more and that cost little. In the things that matter, I think we’re on balance, a very wealthy bunch. Are we blissfully ignorant of our poverty? I don’t think so. In the spirit of Thanksgiving, I would rather be intensely and joyfully aware of our wealth, but maybe it’s the same thing. As I often remind students in my marketing class at the University of the South, Perception is more important than. . . NO. . . Perception IS reality.